Thursday, September 14th. Southern Sweden. 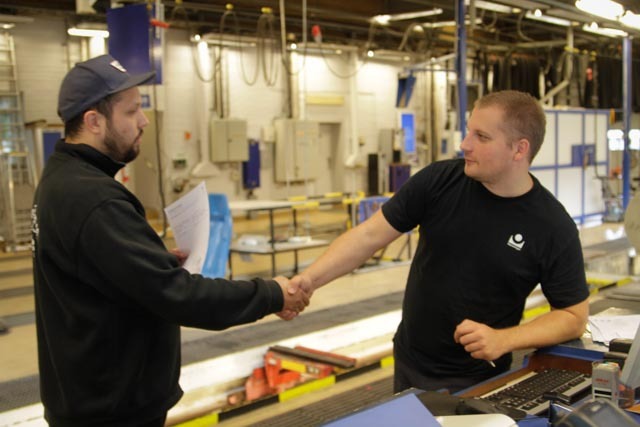 I visit Philip, one of the owners to car 9000022, that this day will undergo the registration inspection here in Sweden. 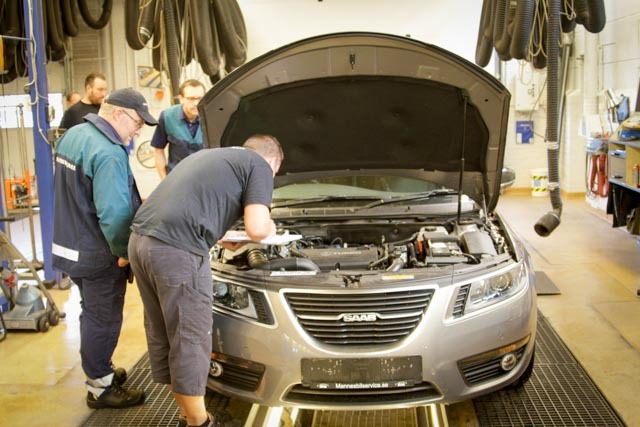 The car had been at Autohaus Lafrenz in Kiel to be approved by German TüV. All papers have been submitted to the Swedish authorities. Now there is only one last obstacle left before the number of road-legal SportCombis in Sweden will increase from 4 to 5. 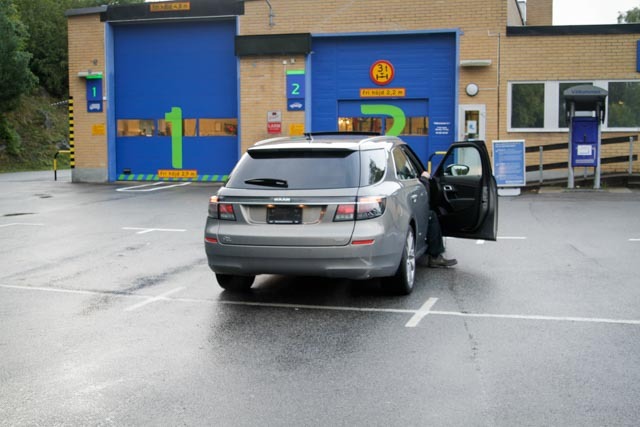 The car is loaded on the car trailer, and the route goes on rainy roads through the south of Sweden to the inspection station in Karlshamn. Philip is a little nervous but keenly aware that the car will finally get its place (back) in the Swedish car registry. The door opens and we can roll in; all work stops at the station as everyone wants to have a look. Soon the car is surrounded by the employees at the station. The second owner, Joel, follows the inspection remotely via SMS and telephone contact. The nervousness completely dissipates when it turns out that the inspection engineer is also a Saab freak. 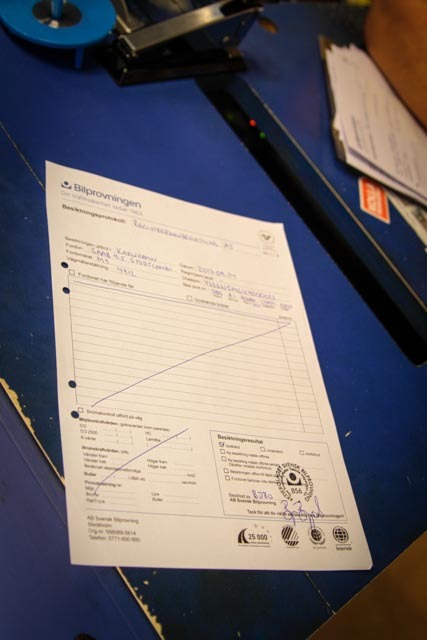 Everything went really well, so now the right-hand drive car is approved for the Swedish roads, we get the long-awaited paper that says there are now 5 SportsCombis registered. Overjoyed we load the car and drive back home. A little later in the afternoon, the car was assigned a new registration number (YJJ514) and could undergo the mandatory inspection (MOT). 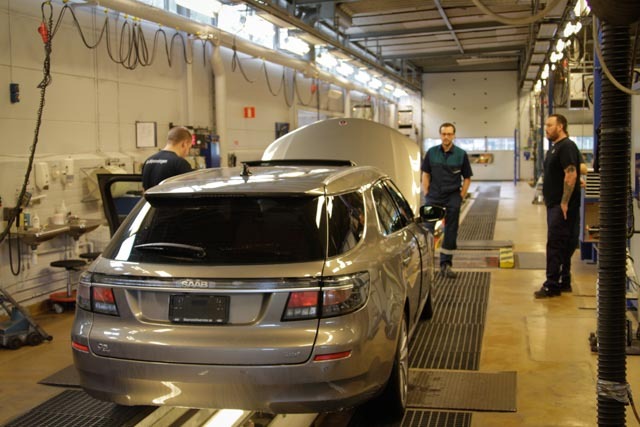 “9000022” was first registered as JBF149 and was used by Saab Automobile AB as a soundlab test car. The car has -though it is a Linear- been equipped with panorama sunroof, navigation, Harman Kardon sound and DAB in addition to the usual Linear equipment. The engine in this car is Turbo4 1.6 petrol and it was adapted to the British market so it has the right-hand steering. Thank you for sharing this day with you! Text and pictures: Henrik Zaar. 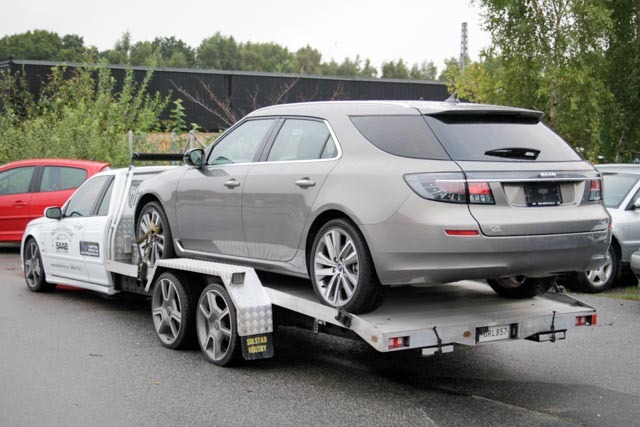 More information on this car can be found in the Saab 9-5NG SportCombi directory. 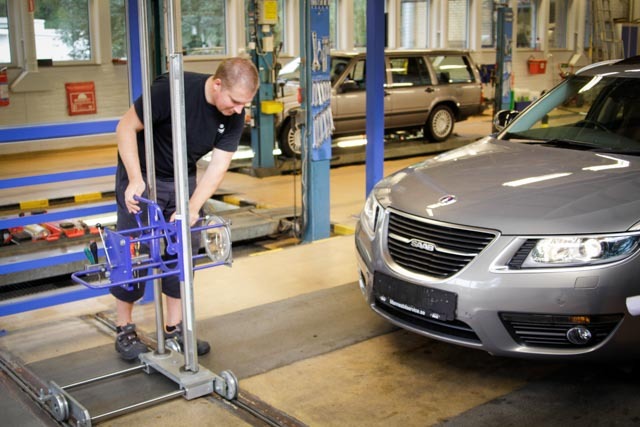 ← The first Saab 9-5NG production report, released!